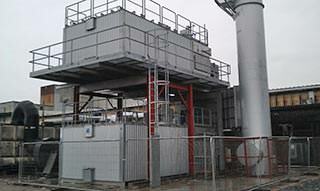 A UK Coating Operator sometimes has a production type which emits particularly nasty odours. An abatement system was needed to treat the fumes during those occasions. Abatement-Exchange offered used RTO which was available on the website. A UK Flexible Packaging Operator needed to replace an inefficient abatement system to treat solvent fumes from a series of printing presses. Abatement-Exchange helped source a used dual-section RTO that was available on the website. 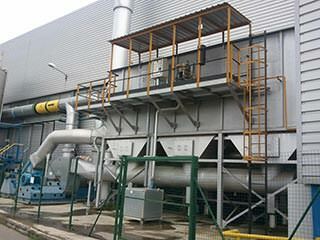 With free technical support from Abatement-Exchange to solve an odour emission problem, a Food Processing Operator sourced a quality used RTO. 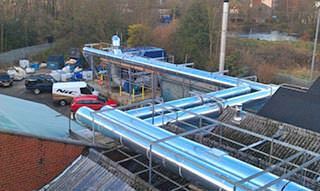 The installation was completed in just 4 weeks, saving significant capital outlay. 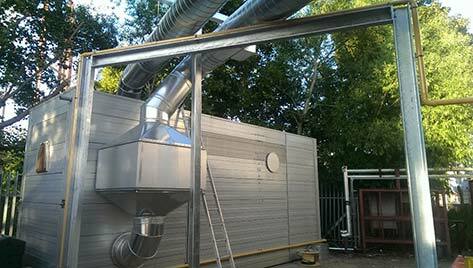 A web offset Operator in Russia previously had a very inefficient recuperative thermal oxidiser to treat the VOC’s in their solvent emissions. 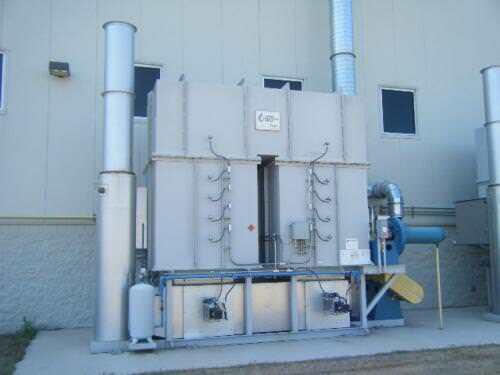 A 5000 scfm regenerative thermal oxidizer (RTO) was used to treat gasoline-laden air from a soil vapor extraction system.